I can already see my Mom’s happy face if I teach her how to play the piano. She really wants to learn how to play and I want to teach her because when we jam at night, she can be the pianist while I play the drums and my dad plays the guitar. That means we would have a mini band at home. I’m sure that my Dad would love it if I will teach him how to play the drums. He has been requesting me to teach him how to play the drums since I started studying in Yamaha Music School (YMS). As an appreciation of his effort in teaching me how to play the guitar, I should really share with him what I learned at YMS. Now I’m enjoying playing the guitar at church and at prayer meetings. For my Grandpa, I want to teach him how to play computer games and fly a RC helicopter. First of all I want to teach him how to play educational games so that it would stir up his brain and give him more fun and knowledge. I also want to teach him how to fly the RC helicopter so that we can play together around our place. That can be good physical exercise for him too. 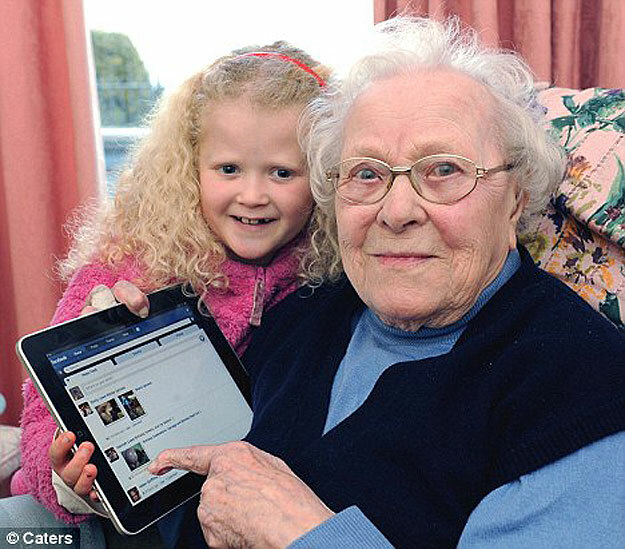 My Grandma would surely love it if I would l teach her how to use Facebook and Internet. By learning how to use Facebook, she will be able to connect with her children and with her siblings who live in different countries. I would also teach her how to use the Internet to search for different recipes and do online shopping. I do hope I can do these teachings very soon. How about you? do you have any plan to teach older generations? I would love to hear your thoughts. Hi! My name is Vince. I like cars and planes. I have a family dog named Kobe and a cat named Fluff-ball. Click here to know more about me.